A BALLOT FOR industrial action by staff at Aviva could open as early as next Tuesday, the UNITE trade union has said. 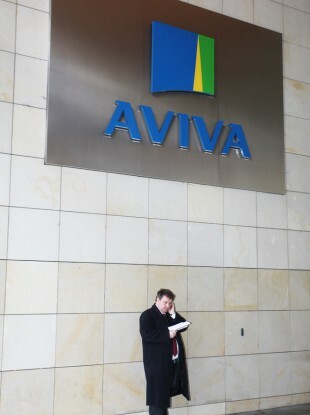 Last night, members of the union who work at Aviva’s Galway office voted unanimously to support the ballot action. UNITE communications officer Rob Hartnett told TheJournal.ie that after meetings in Cork and Portlaoise are held, the wording and structure of the ballot will be decided on Tuesday. He said the ballot will then commence and staff will be given up to seven days to vote. There are currently close to 1,400 Aviva staff who are members of the union but Hartnett said there are more people looking to join to defend their jobs. Brian Gallagher, a regional officer with UNITE, said there was a mood of “anger and defiance” at last night’s meeting in Galway. “Aviva remains immensely profitable,” said Gallagher. Staff in Dublin voted on Wednesday that there should be a mandate for industrial action sought ahead of negotiation on the 950 job losses. UNITE said it expects to find a similar mood and the same decisions at a meetings in Cork this evening and Portlaoise on Monday. Email “Aviva staff to ballot for industrial action next week”. Feedback on “Aviva staff to ballot for industrial action next week”.